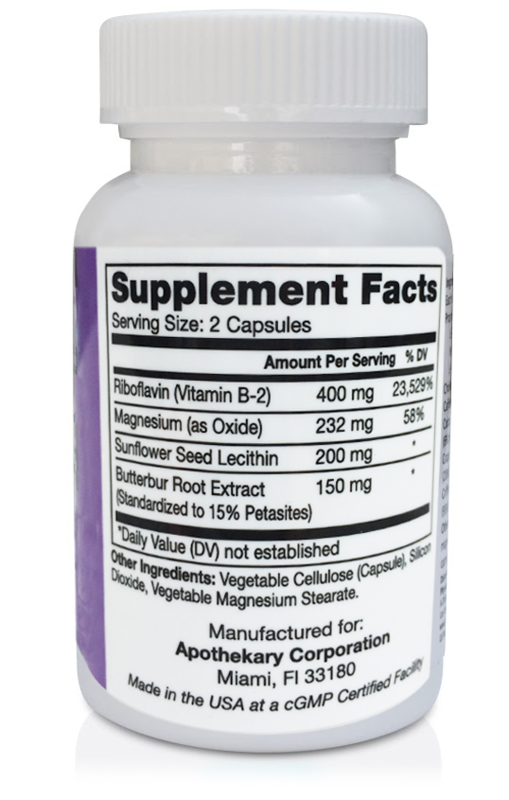 Migrakare contains 150mg of Butterbur per dose, a botanical ingredient with a long history of helping migraine sufferers find relief. Suggested Use: As a dietary supplement take two (2) capsules once daily with food at the onset of a headache. Click the button below to add the MIGRAKARE to your wish list.